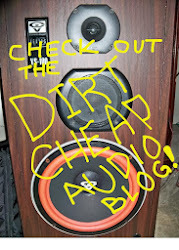 It has been a while since I reviewed a cheap watch for this blog. 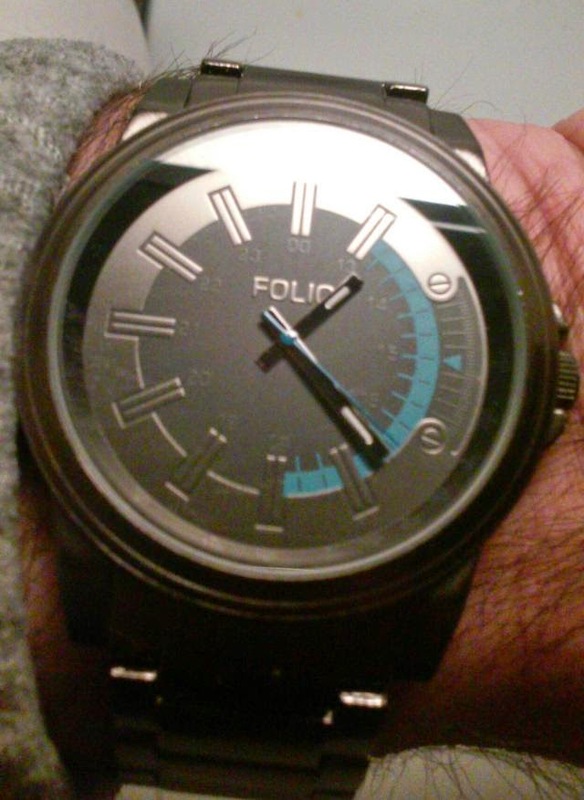 But, tonight, I'm reviewing an inexpensive "commodity quartz watch" from the Folio brand sold at Kohls. This Folio brand analog watch has a reliable Japanese quartz movement encased in a flat-finished, gun metal gray, base metal case. It has a matching bracelet. The caseback is stainless steel. The dial is the focal point of the design. 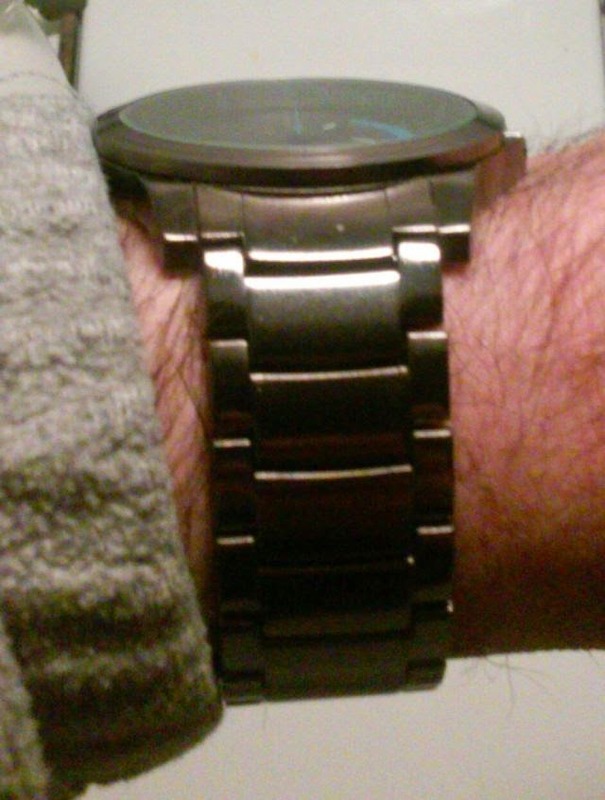 It has a dark gray center on a gun metal gray background that matches the watch case. The hour positions are marked by gun metal gray engraved areas of the dial that act as subtle hour batons. 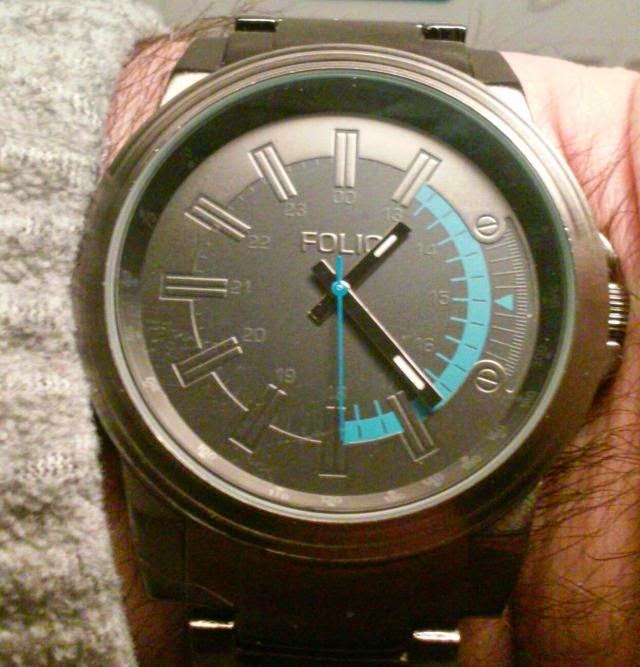 A semi-circular arc of light blue runs from one o'clock to six o'clock serving as a border between the gun metal gray periphery of the dial and the dark gray center. The hands are black with a thin line of white lume. The case is just under 2 inches in diameter (I'd guess approximately 48 millimeters) in diameter. The bracelet reinfoces the solid, masculine, nature of the design by being a just under an inch wide (I'd guess 22 millimeters). The watch is made by FMD, a major supplier of store brand watches. This watch retails for around $30. By shopping sales, using a Kohl's card, and using Kohl's rewards cash, you should be able to get it for less.